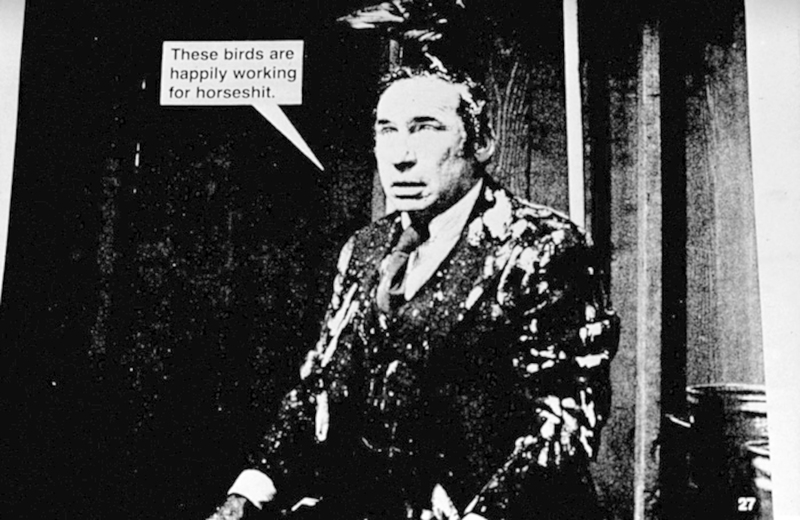 Lutz Bacher, Jokes (Mel Brooks), 1987, 38 x 60". From the series “Jokes,” 1987–88. 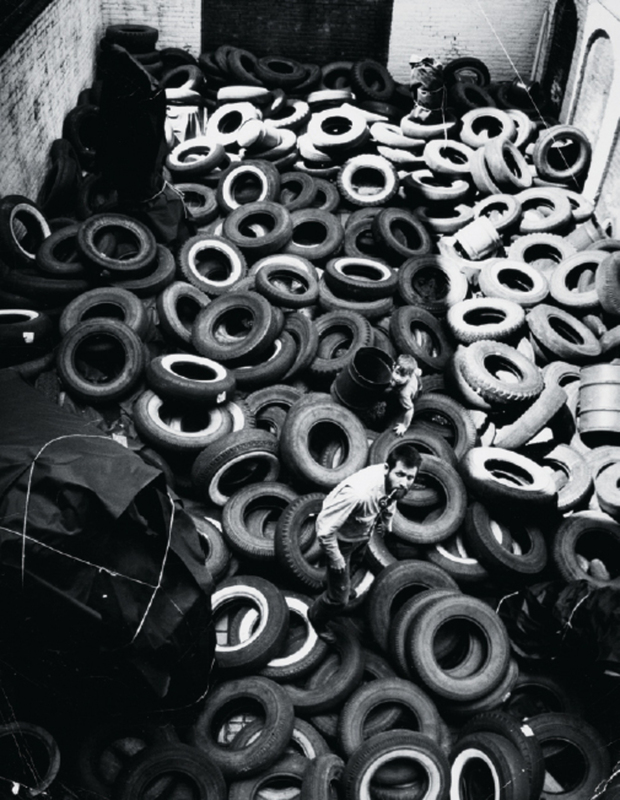 Allan Kaprow and his son in the original Yard, Martha Jackson Gallery, New York, 1961. Photo: © Ken Heyman/Woodfin Camp, New York.